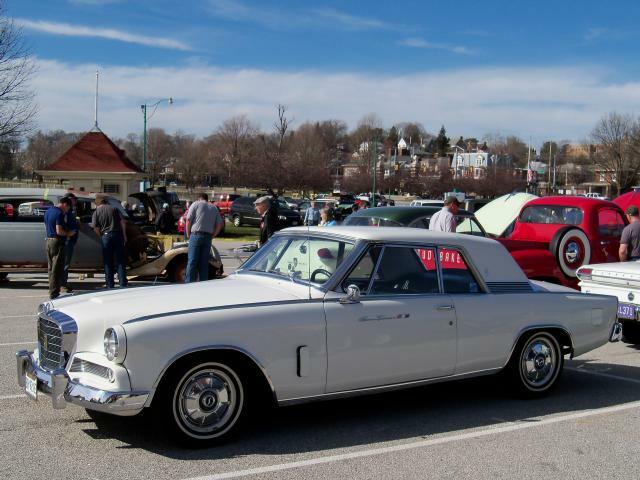 The 43rd Annual 2016 Studebaker York Swap Meet sponsored by the Keystone Region of SDC is now history. The meet was held on March 9, 10, and 11 at the York Expo Center in York, Pennsylvania. 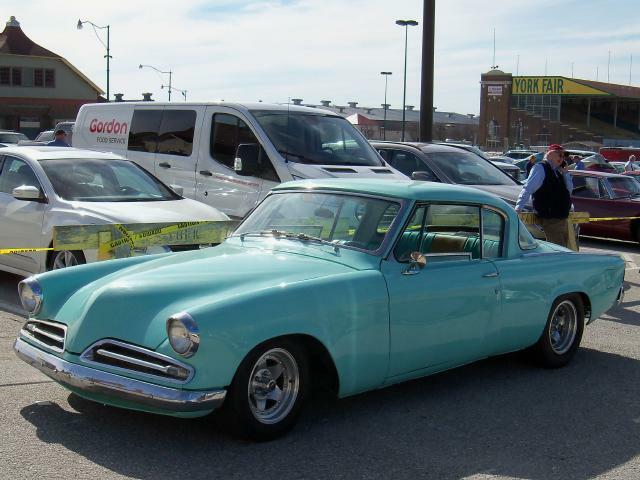 The 2016 raffle car was a beautiful 1955 President Coupe that was won by Christine Jones of Hazelton, Pennsylvania. It was reported that over 30 cars were in the Car Corral for sale area on Friday. 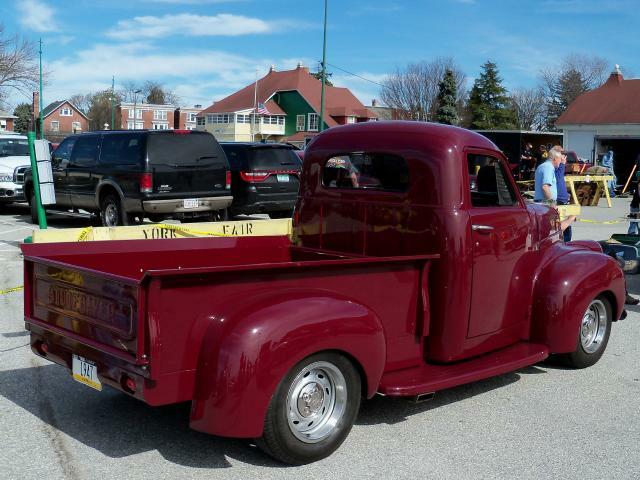 The next Studebaker York Swap Meet will be held March 9, 10, and 11, 2017. 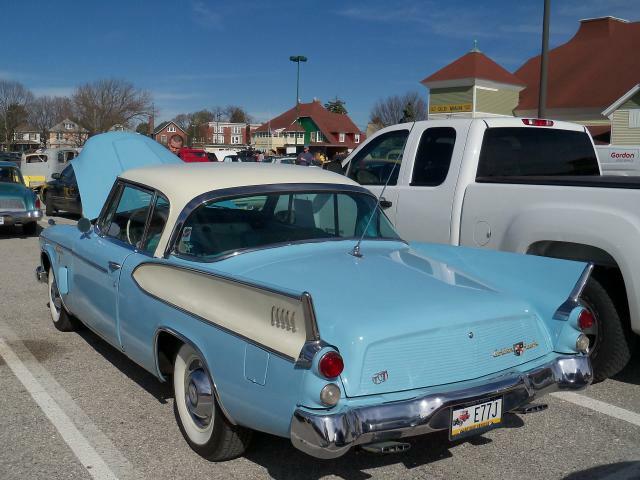 The raffle car for 2017 is a 1957 Golden Hawk. It has been announced that 2017 meet will be the last year for this event. Information on the next meet and raffle car can be found on the Keystone Region web site. 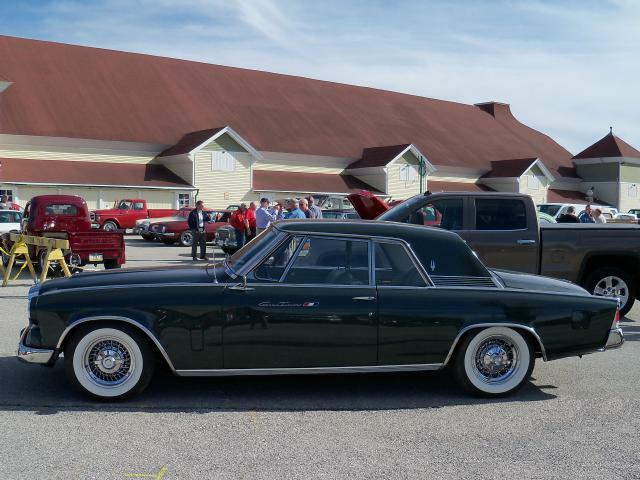 This beautiful Jet Green 1964 Studebaker Gran Trurismo Hawk is owned by Bob Kuehne of Street, Maryland. 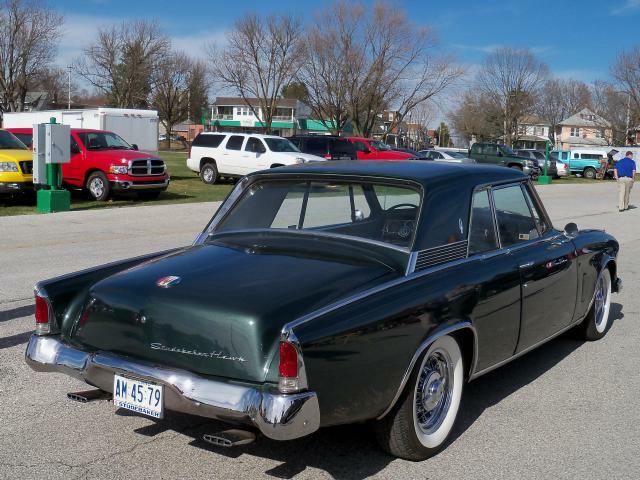 It is one of only 1,767 model year 1964 GT Hawks produced prior to the end of Studebaker production in South Bend in December 1963. 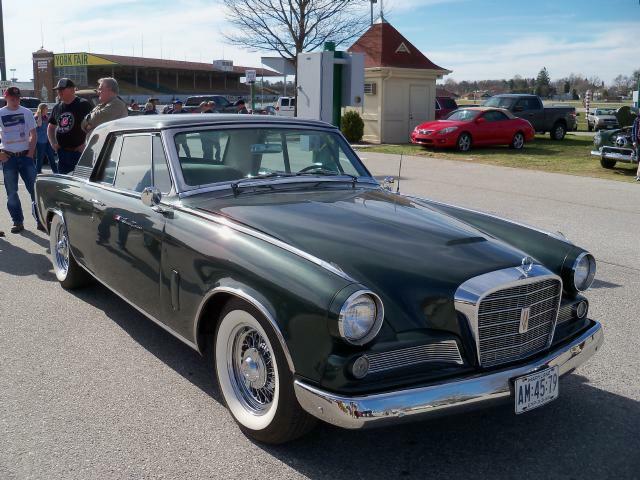 Jet Green was a new color for 1964, and while it was available on 1964 Lark body cars including those produced in Canada, it was not available in 1965 or 1966. 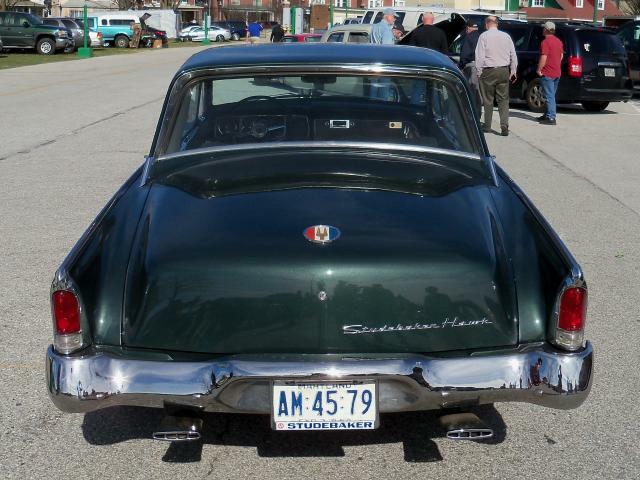 The biggest styling change to the GT Hawk for the 1964 model year was the revised trunk lid with no aluminium insert. 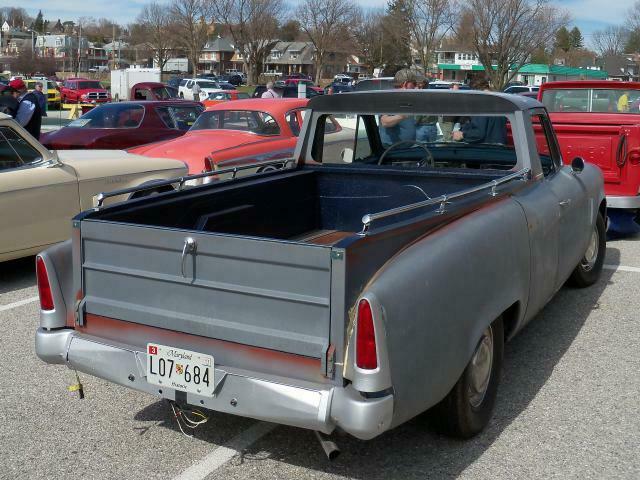 Here is a rear view that shows the 1964 only trunk lid. Bob relates that the original Studebaker 289 cubic inch V8 has been rebuilt and bored .030 over. 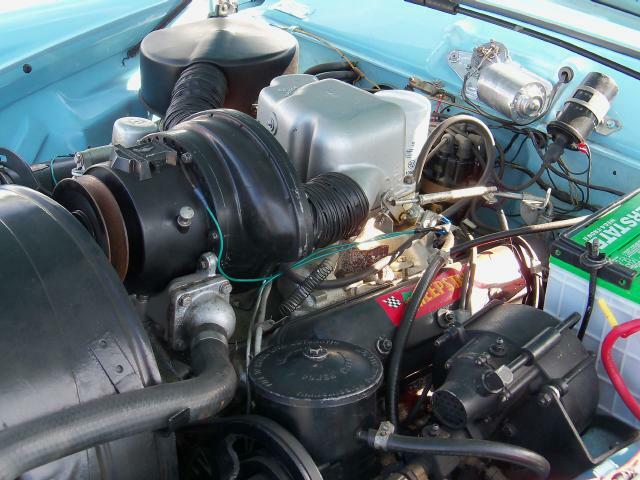 The engine is equipped with a four barrel carburetor and electric fuel pump. Bob's Hawk has the optional Powershift floor mounted automatic transmission as well as air conditioning. The sharp looking chrome wire wheels were added by a previous owner. Thanks to Bob for providing the information about his outstanding car. 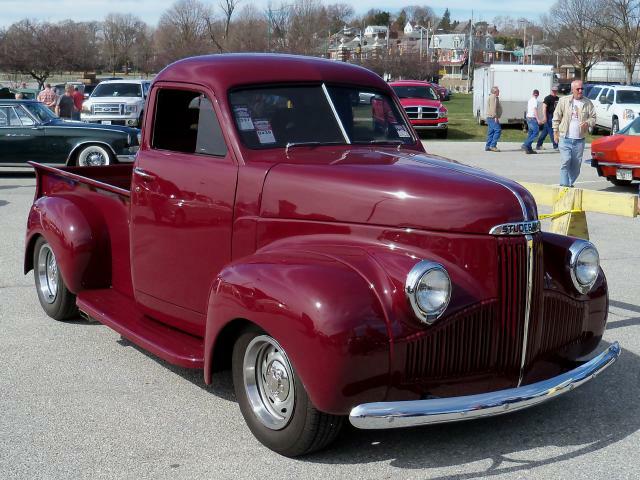 The beautiful 1947 M Series Pickup has Pennsylvania plates "1947" so I have concluded that it is a 1947 model. It is a mild custom that is nicely done. 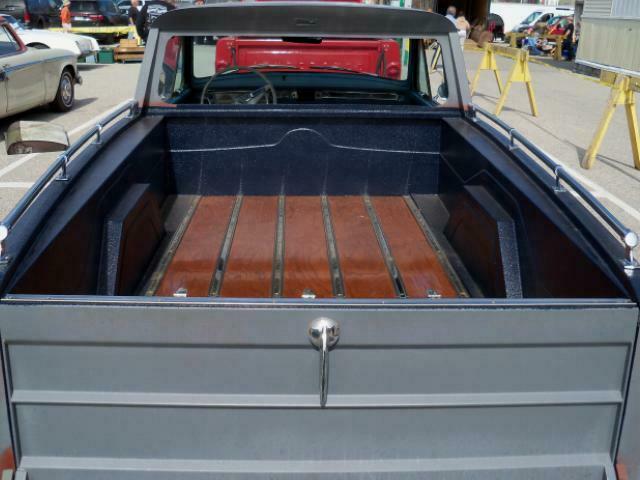 If you look hard you can see the side pipe exhaust that exits near the rear of the running board on each side. A unique feature of these trucks is that the front and rear fenders are interchangable on each side. 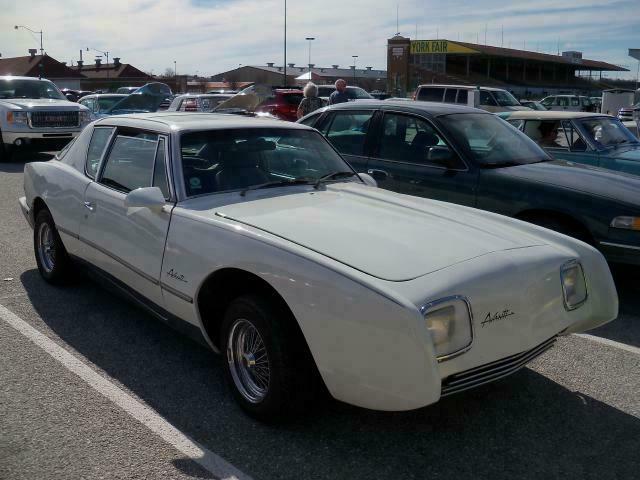 The attractive custom late model Avanti also has Pennsylvania plates so it is likely a local car. 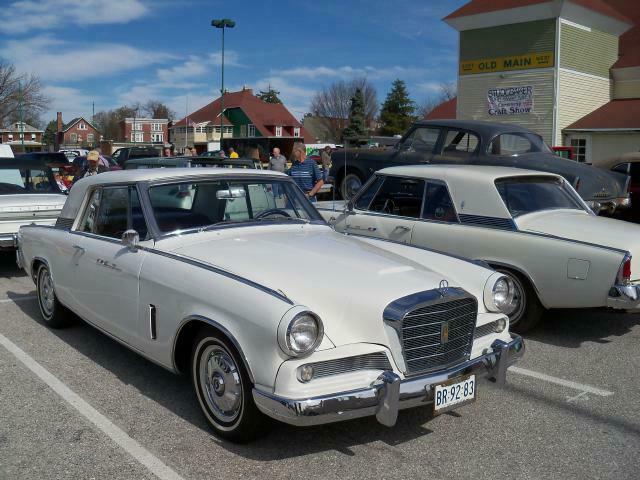 The two white 1964 Gran Turismo Hawks are rare cars as only 1,767 of this model were produced before production shut down in South Bend in December 1963. Both are Astra White and neither has the optional half vinyl roof often found on these cars. The Hawks are not identical in that one has a blue interior and one has a red interior. 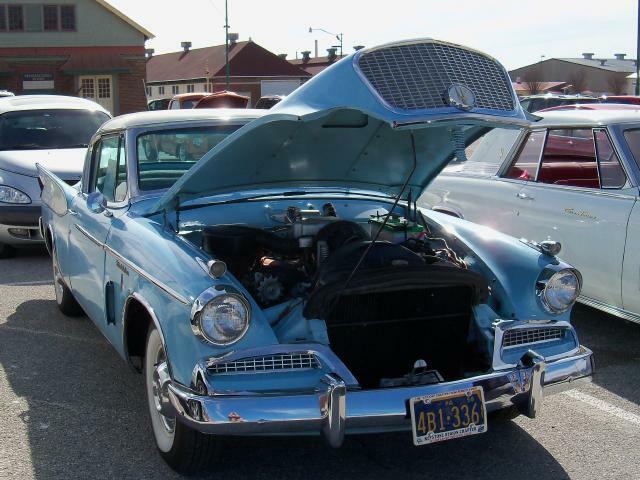 The custom 1953 Starliner Hardtop with alloy wheels was spotted in the Car Corral for sale area. 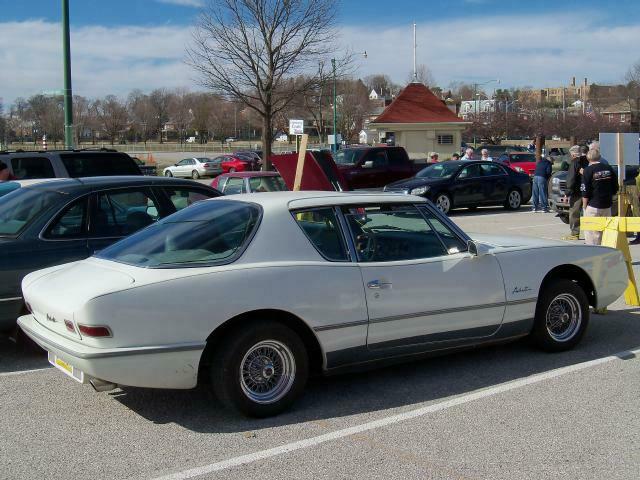 These early hardtops are getting harder to find in any kind of reasonable condition. 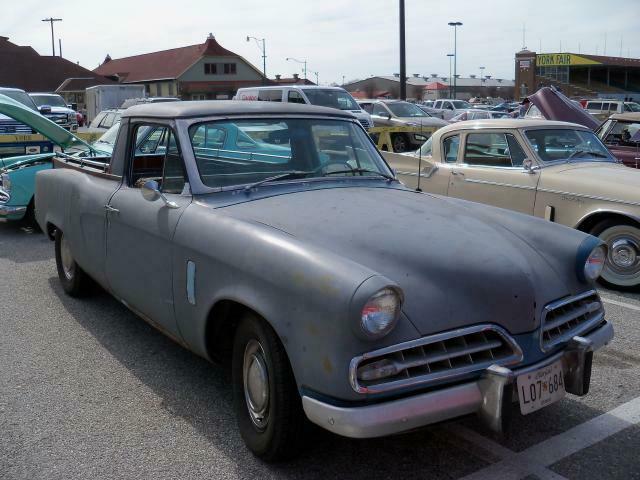 The outstanding 1951 Studebaker C Cab Pickup with Pennsylvania plates was spotted in the Car Corral for sale area. 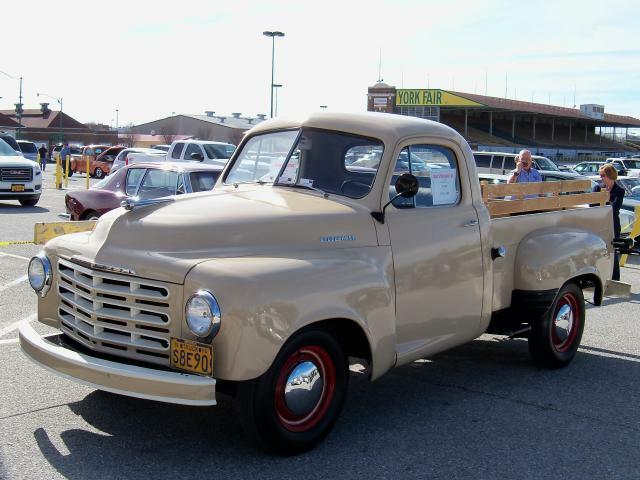 This is a beautiful truck but not inexpensive with an asking price of $24,900. 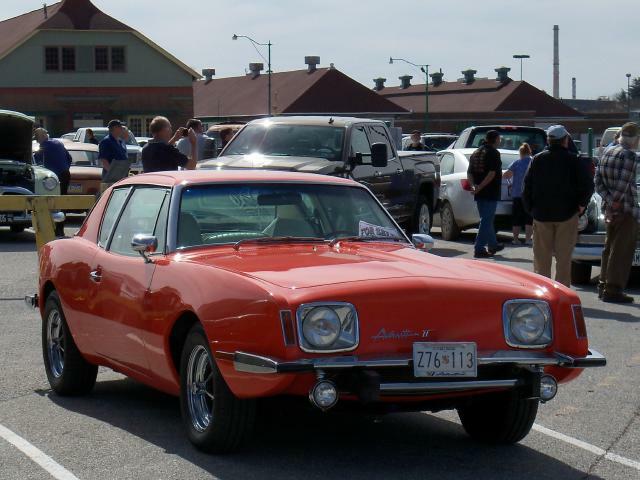 The nice red Avanti II with Maryland plates was also for sale. It retains the original factory front bumper overrider that is often removed from these cars. 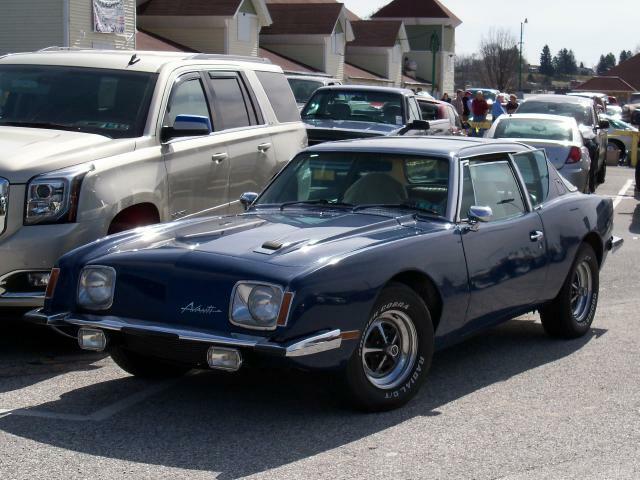 The gorgeous dark blue Avanti II was not in the for sale area. Both Avantis are equipped with the factory optional Magnum 500 wheels that were very popular on the Avanti II. If anyone can provide the names of any of the owners of these cars and trucks that are not so identified or additional information about any of these vehicles, please e-mail the pagemaster and I will update the page accordingly.